Ms. Sorini Elser practices primarily in the area of real estate development and municipal law. She has particular expertise in the creation of traditional and site condominiums for residential and business projects as well as innovative use of the condominium concept in mixed use developments, senior housing and public/private partnerships. She handles multi-state real estate sales, purchases and refinancing for corporate clients. She also advises lenders and other successor developers on condominium issues in foreclosures and workouts. Her work also includes creation of conservation easements for preservation of farmland and open space areas for municipalities purchasing development rights, or for private land owners and land trusts. 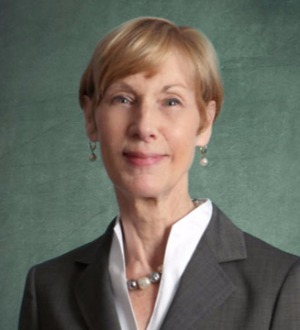 Ms. Sorini Elser has served as township attorney for Ann Arbor (Michigan) Charter Township for over 15 years. She was recently elected as a trustee of Legacy Land Conservancy. Ms. Sorini Elser has also served as a member of the board of trustees and secretary of the Women Lawyers Association of Michigan Foundation for more than 10 years. She is a member of the Commercial Real Estate Women's Network (CREW-Michigan) and a member of the ICLE Real Property Law Advisory Committee.